This section covers customising evolution skin. 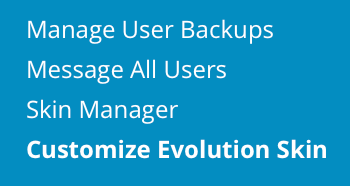 To customise Evolution skin, sign into the control panel and then click on the "Reseller Tools" icon, followed by the "Customise Evolution Skin" link. Evolution skin provides a lot of customisation features, you can add your own control panel entries, change main icon, change skin body and button colors. Customisation page contains table. Each table column allows you to customise menu for different user levels (admin/reseller/user). "Colors" column let you change body skin color and also button colors. First, let's see user level table contents. We can see there are all categories and entries from the control menu. We can edit desired catregory by pressing on it. From there we can edit category name, icon, or column size. Note that column size do not limit entries, if there will be more entries than column size value, second column will simply appear on category. You can also disable/remove category by simply un-checking "Enabled" box. Do not worry about making unrecoverable mistakes. You can always reset to default settings after modyfing contol panel. Let's say our reseller controls a lot of websites and he wants to create secure websites fast. 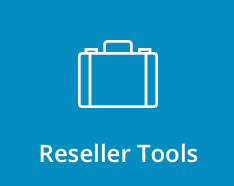 Instead of always switching between access levels and categories, reseller can create his own custom category which will contain desired entries. First, let's choose category name. It can represent entries inside that category for example. Second, let's choose icon. You can simply put URL of the icon, you dont even need to upload it! Now lets choose column size and press "Add" button. 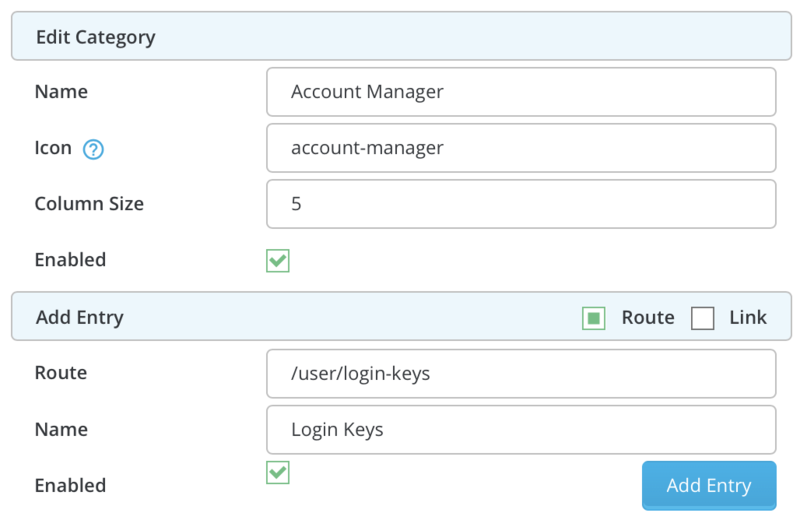 Now as we added our custom category, let's get this DirectAdmin even more custom! Time to change colors. Colors Menu contains different categories. Primary means all skin body - this will affect Control Panel, tables and almost everyhing except buttons and white color. Other categories means buttons and notifications. Safe category is creation buttons and success messages. Danger category is deletion, reseting buttons and fail messages. Neutral category is mostly "back" button. Choose desired colors, and click "Save." Finally we can see our new fresh DirectAdmin look! Now we can see our new category in control panel with desired entries and changed colors.